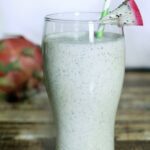 Dragonfruit Smoothie - Frugal Mom Eh! 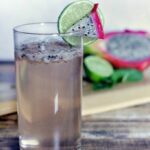 This is a recipe featuring Dragon Fruit that I whipped up as an indulgent treat with amazing tropical flavours. Dragon fruit is grown in Southeast Asia, Mexico, Central and South America, and Israel. Dragon fruit is low in calories and offers numerous nutrients, including Vitamin C, phosphorus, calcium, plus fiber and antioxidants. Its flavour is like a cross between a kiwi and pear. To chose the perfect Dragon Fruit look for bright even-coloured skin. Press the skin with your thumb and if it is perfectly ripe it should give just a little but it should not feel soft or overly firm. 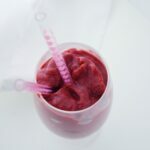 This Dragon Fruit Smoothie is a great way to bring a little sunshine into your day, even in the midst of winter! Place ingredients into blender and blend until smooth. Pour into a tall glass and Enjoy! I’ve never had Dragonfruit! Can we get this at Metro or do we need to go to a different type of shop? This looks tasty and from your description of the dragonfruit, I think I would love it! This looks so good and refreshing! 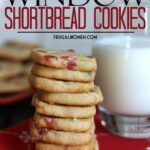 I’d love to try this recipe! I have never tried Dragonfruit yet. I have seen it in the stores but haven’t known what to do with it. Will have to pick some up and try making this smoothie. Thanks! I love dragonfruit it’s so good, I’m going to give this smoothie a try, thanks for sharing a great tasty drink!! I have not tried dragonfruit before – I didn’t realize it was so good for you. 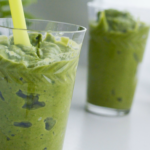 This smoothie will be the perfect thing to give it a try. I’ve never thought to put dragon fruit in a smoothie. I’m intrigued now was to what this smoothie tastes like! The colour is beautiful! I’ve never thought to put dragon fruit in a smoothie. I’m intrigued now was to what this smoothie tastes like! The colour is beautiful! I will have to try this! I have never thought of turning dragon fruit into a smoothie. I am going to give it a try the next time I pick up some dragon fruit. I would love to try dragon fruit, and this looks delicious! I have been keen to try dragonfruit but wasn’t brave enough until your smoothie recip. Sounds delicious. I haven’t had dragon fruit in forever! Sounds like a delish smoothie! I’d love to try this smoothie. Thanks for the recipe. Love trying different smoothie flavors. Great tropical smoothie to escape to the patio with on a nice day. I have never had Dragon Fruit. Guess I was a little intimidated, not sure why. Thanks for the recipe, but also the tips on picking the perfect fruit. I love my smoothies. I have seen Dragon fruit at one of our supermarkets and wondered what it tasted like. You have answered my concern and I can’t wait to try it. Thank you for this recipe. 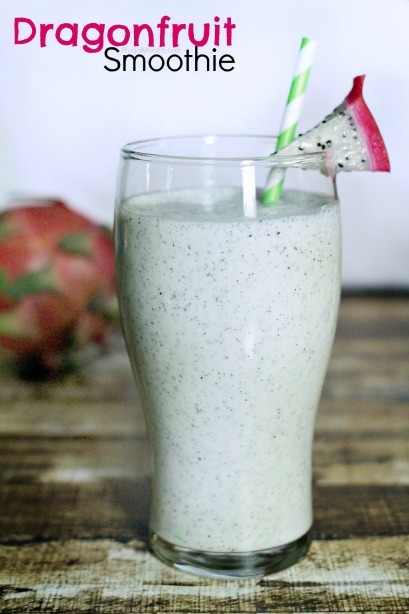 This Dragonfruit smoothie looks so refreshing for hot days.